With my love of all things hot and spicy chicken wings are the perfect vehicle for trying out sauces and just generally making a mess of myself. 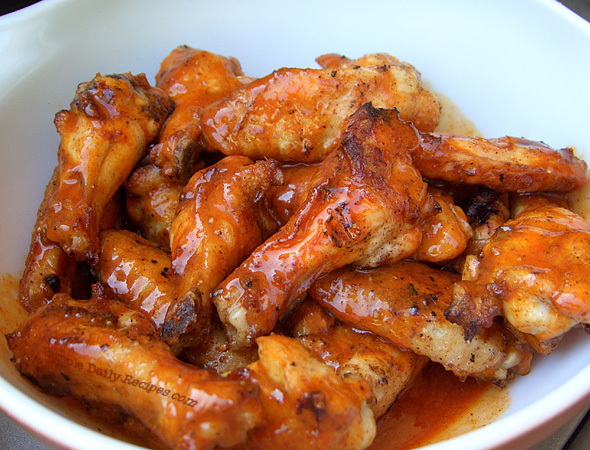 I found a recipe a while back for garlic and cheese wings and really liked the flavour that the parmesan gave, as such next time I was knocking up a batch of hot wings I decided to drop some in…. Let me just say I am never going back to regular hot wings. It might sound like a weird combination but try them I guarantee you wont be let down. If you find Blair’s Megadeath to be a bit hot for your tastes then you can always go with something a little milder, I would stay away from anything with extract though, unless you like your wings to have that odd chemical taste to them. Deep fry the chicken wings until they are golden and slightly crisp, set aside on a piece of kitchen paper to absorb any excess oil. Melt the butter and mix in the parmesan cheese and the bottle of Megadeath sauce ensuring that everything is well combined. Coat all of the wings liberally with the cheesy Megadeath sauce and serve on a bed of crisp lettuce with soem blue cheese dressing and a good beer. I agree with a couple of their entries but some of them just didn’t illicit a suitable level of disgust from me. Pork Scratchings – Well what is there to say about pork scratchings? This nasty pub snack consists of pork rind and fat deep-fried until it is hard and then seasoned with salt, if you are really unlucky you will find the elusive soft scratching that is literally pure deep-fried pig fat mmm. This is the sort of awful crap that needs to go the same way as the dinosaurs, there are plenty of other snacks that you can enjoy with your pint that don’t come with a free heart attack. KFC Double Down – When I first heard that KFC had launched something called the Double Down I simply had to find out what it might be. It transpires that it is a delightful fried chicken sandwich that instead of a bun has 2 fried chicken breasts between which nestles cheese, Colonel sauce (I don’t even want to know) and bacon. Now forgive me if I am wrong but where I come from chicken breasts are normally found inside a sandwich, not masquerading as the bread. Luckily they don’t offer this particular delicacy here in the UK but that didn’t stop me finding someone who had been brave enough to give one a go – click here to check out a video review from Scott Roberts enjoying the mighty Double Down in all its greasy glory. Cheese Burger in a Can – I have been camping more times than I can remember, whilst camping I have eaten many meals that I would normally turn my nose up at back in civilisation. Be it US military MRE, British Forces Ration Packs or ready prepared meals from a camping store they all have pretty much one thing in common: they are shite. 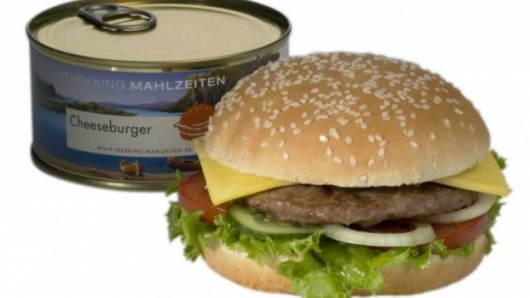 Cheeseburger in a can… Once I get past my initial reaction, which is pretty much to vomit in advance of eating it there by cutting out the middle man, I start to wonder what sort of sick twisted maniac invented such a thing. Well it turns out we have Swiss company Katadyn to thank blame for visiting this evil upon the world. The idea is that you pop the unopened can into boiling water for a couple of minutes and hey presto you have a tasty hamburger to munch on whilst the bears move in for the kill. As much as the overall idea offends my stomach I find myself more concerned by the fact that it will stay fresh for over a year without refrigeration – just wtf is it made out of? 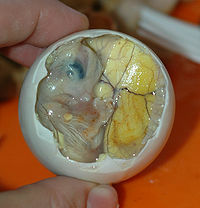 Balut A whole fertilised chicken or duck egg allowed to reach between 17 and 21 days of incubation before being boiled and the whole disgusting mess being eaten, foetus and all. 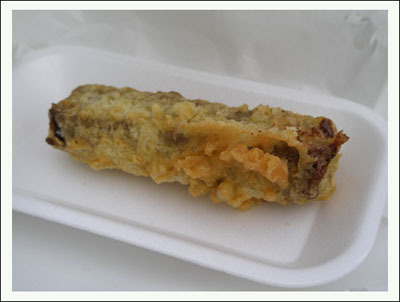 Deep Fried Mars Bar – Ah Scotland, was there ever a nation so easy to pick on when it comes to dodgy food? To be fair to 99% of Scottish produce is outstanding but that is all pushed aside by that final 1%. In this case I am focusing in on Scotland’s most famous culinary disaster; The Deep Fried Mars Bar and trust me it deserves the capitals. This gastronomic turd gets bad press all the time but it really does take some beating in the crap food stakes. Not only is it the idea that is shocking it is the food itself; first we take a Mars Bar, hardly the healthiest starting point. We chill the Mars to stop it melting and then coat it in the sort of thick fattening batter normally reserved for frying fish or sausages then of course we fry it. Sadly the next step is to eat the bloody thing, followed promptly by throwing up a hot sugary mess all over the pavement. I once ate a deep-fried mars bar for a dare; at first it was almost nice, there was a bit of a crunch followed by gooey sweet chocolate. Unfortunately the next stage of the eating process was reality kicking in. There realy is no overcoming the greasy taste of the batter and that mixed with the cloying sweetness of the chocolate actually makes you start to gag. I’m not proud of the fact that rather than finish this horrific morsel I pinned one of my mates down and made them eat it,I think he still has nightmares about it til this day. Having sampled this most heinous of crimes against food I have no conclusion but to seriously worry about the sanity of our cousins north of the border…. Deep Fried Haggis – I’m not squeamish when it comes to food and actually like most offal but there is something about deep-fried haggis that just turns my stomach. 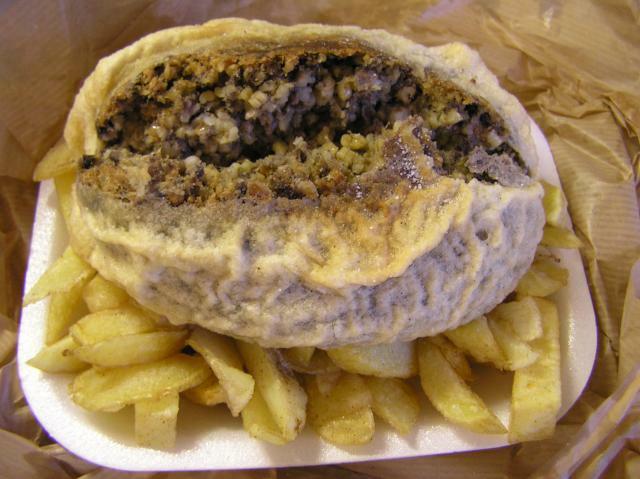 I know that just plain old haggis is enough to have some people reaching for a bucket as it is but to deep fry it, has the World gone mad? 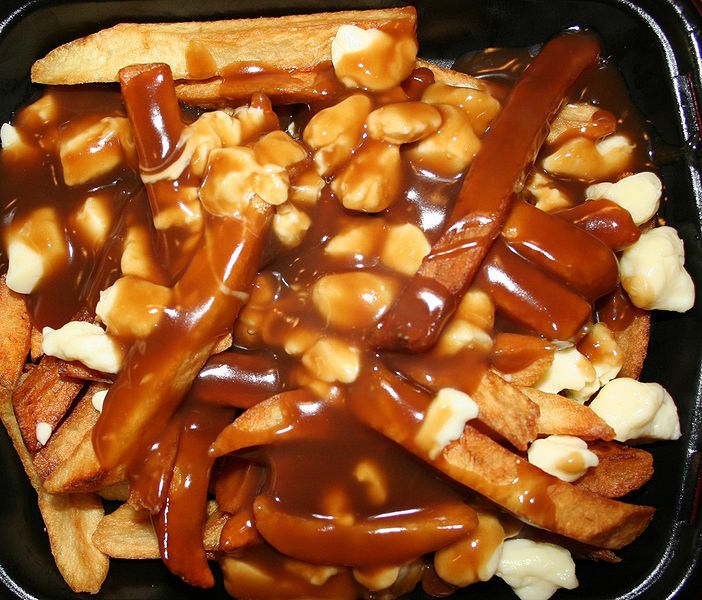 Poutine – I was first introduced to this Canadian staple by a friend about a year ago. granted it isn’t as unhealthy as some of the foods that grace this list but to my mind it is one of the most revolting. For those of you lucky enough to have never encountered Poutine before it is French fries coated with gravy and topped off with cheese curds and just when you thought that couldn’t be made any more delicious the fries are supposed to be cooked in lard -mmm. Poutine is not completely horrible for the first couple of bites whilst it is still very hot but as soon as it starts to cool it just becomes one big congealing mess of brown muck and you can’t help but face the stark reality that you are effectively signing your own death warrant. Snickers Pie – 1 packet puff pastry, 140g mascarpone, 110g soft cheese, 50g caster sugar, 3 eggs, 5 Snickers bars and milk. Does sound to you like the recipe for something ok for a child? Probably not. However bearded dwarf and celebrity chef Antony Worrall-Thompson says that it is fine and he should know as he wrote it. This sugar and fat laden delight is so void of nutritional value that the Food Commision condemned it as being “one of the most unhealthy recipes ever published”. Each slice weighs in at a heavyweight 1,250 calories, 22 teaspoons of sugar and 11 teaspoons of fat. I look forward to serving it at a children’s tea party in the near future, I fully anticipate that the children will be hyperactive due to the ridiculous sugar content and yet unable to move due to being completely spherical. Quadruple C Burger – I came across the Quadruple C Burger on one of my many wasted afternoons trawling the internet, it certainly made an impression on me and I’m sorry to say it wasn’t a good one. 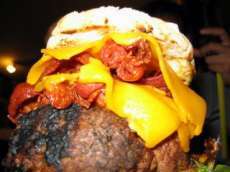 One of the signature menu items at Dangerous Dan’s Diner in Toronto, the Quad C is one of a new generation of fat burgers whose aim is to stare the health food movement in the eye and stick two fingers up in its face. Now I am all for people having freedom of choice and that includes the right to eat yourself into an early grave but this burger almost makes me want to call up the food police. This meaty mountain is the Quadruple C in all it’s colossal colon clogging cancer causing glory, either impressive or sickening depending on how you choose to look at it. So what goes into making one of these bad boys: one 24 ounce beef patty, half a pound of bacon, half a pound of cheese and to complete the combo in gut busting style a large shake and a serving of an another Canadian entrant from this list; poutine. Luckily this burger is only available in Canada so your resultant trip to the emergency room will at least be free. Bacon Explosion – The Bacon Explosion has to be one of the most disgusting food items I have come across in a long time; the sheer volume of meat is quite simply worrying and just the thought of it is making my digestive system recoil in horror even as I type. 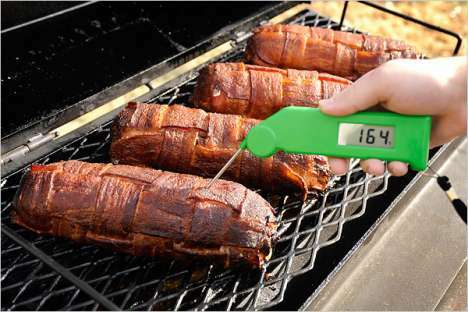 Multiple strips of bacon are lovingly woven into a fatty, greasy mesh, onto which ground sausage meat is dumped before more cooked and crumbled bacon is sprinkled on top and the whole thing is rolled up into a big cigar full of porky goodness. As always I have saved the best until last this bacon behemoth comes in at over 5,000 calories and more than 500 grams of fat – delicious. 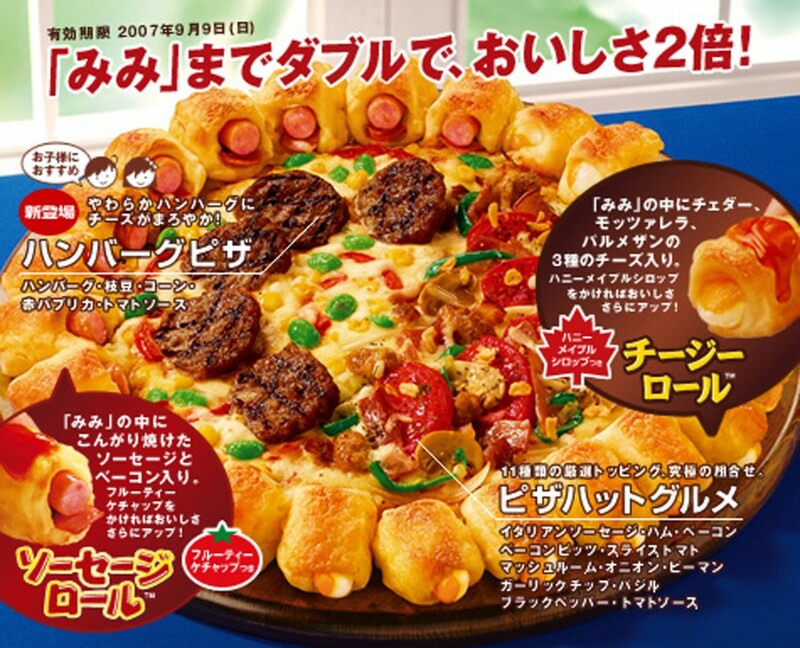 According to a friend who has tried it in Tokyo the main selling point of this insult to Italian cuisine was that it had pigs in a blanket baked into the crust on half of the pizza. If that isn’t enough to tempt you into trying the Double roll then read on…. The other half has cheese rolls for a crust and is liberally topped with mini hamburgers, Italian sausage, ham, bacon, bacon bits, sliced tomato, mushroom, onion, peppers, garlic slices, basil, black pepper and of course marinara sauce. As if that wasn’t enough culinary goodness for you I am reliably informed that the whole thing can be flavored with maple syrup and ketchup by request. I don’t know what would make me puke first, the maple syrup and ketchup flavouring or the entire buffet cart they have stuffed into the crust and topped it with. 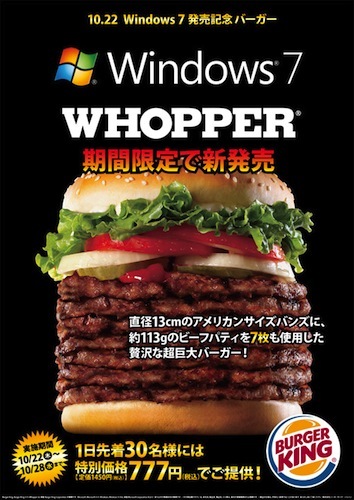 Windows 7 whopper – The Windows 7 Whopper was the brainchild of Burger King Japan; it was sold to mark the launch of the newest version of the Windows operating system and featured – yes you guessed it, 7 whopper patties – 7!!! That makes the heart stopping excess of the Quad Stacker seem like a light snack. The Japanese have long been held up as being paradigms of healthy living and we in the west have been implored to be more like them in terms of diet; obviously the nutritionists didn’t see this particular meat monstrosity. Thankfully for the world at large this particularly terrifying crap stack was only available for a short space of time following the launch of Windows 7 but I get the feeling that there is more to come from our friends in the east. I am at a loss to think of many things that are better than gooey melted mozzarella cheese and crunchy fried breadcrumbs with a little hint of spice. That is why I simply love these little fried mozzarella balls, they are delicious either by themselves, with a spicy tomato sauce or a sweet chili dip. Your guests will love how they taste and you will love how easy they are to prepare. Beat together the eggs and the tablespoon of milk with a little bit of salt, the milk will help make the egg wash really smooth and the egg will break down the membrane in the egg helping it stick better. Mix together the flour, salt and pepper in a ziplock bag and then poured in the drained mozzarella balls making sure that they get an even coating. Shake off any excess flour. 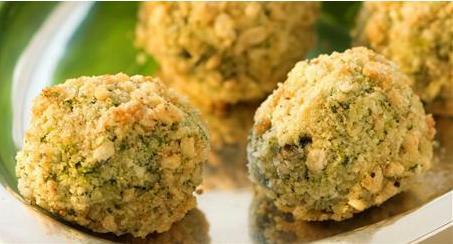 place the balls back in the egg wash and then dip them again in the breadcrumb. 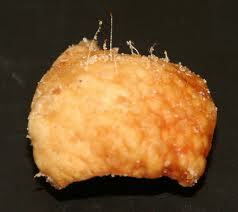 This double breading will help ensure an even coating and will make the balls extra crunchy and delicious. 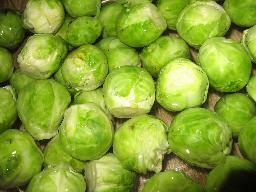 Fry the balls in vegetable oil for about 1 – 2 minutes until they are lovely and golden.